Heat is almost always a factor in an electrical problem. For example, a fuse or a breaker will have an uncharacteristically high heat signature before it reaches failure. Thermal imaging can identify these indicators that would typically go unnoticed until the equipment fails. Fortunately, McNatt Electric can scan your property to find these signs of failure before any problems arise, which gives you control of how and when the repair the will take place. Scanning electrical cabinets, breaker panels, fuses, bolted connections, switchgear, and other equipment will instantly warn you of potential problems. 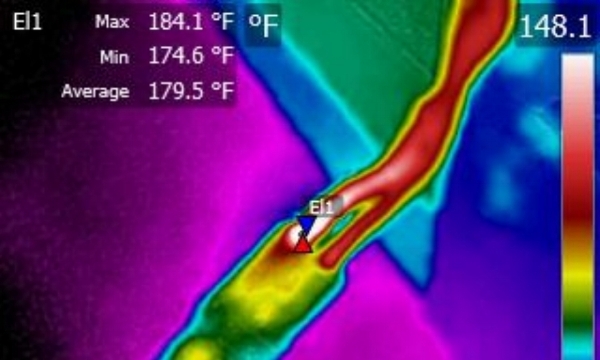 Remember: if you're not using thermal imaging, you're only seeing half the picture. Remember, for the best of Oklahoma City electricians call McNatt Electric!